What’s your favorite book / movie? I am a huge lover of animals. Many dog and horse books. My favorite non-fiction dog books are: Merle’s Door and Last Dog on the Hill. Fiction Dog Book: The Art of Racing in the Rain. I read Merle’s Door right after my sheltie died. Merle was, and is, a soothing balm for my aching heart. My favorite horse books are The Man Who Listens to Horses + Shy Boy, both by Monty Roberts, and Seabiscuit: an American Legend by Laura Hillenbrand. My favorite film about horses is the documentary PBS series Cloud: Wild Stallion of the Rockies. The Secret Garden. I walked in facing a life crisis and walked out knowing how to deal with it! Every single thing about that Broadway production was extraordinary. Saw it three times. I’m doing it. I am learning about horses and am staying at Birch Glen Stables in Massachusetts as I write this. Birch Glen is among the larger equine centers in MA. What a true blessing this whole experience has been. I’ve expanded my internal horizons doing Soul Journey with Horses here for a second time. I am writing a screenplay about horses and there is something extraordinary that happens when writing in the presence of horses who live in a world that is basically silent. am free from criticism and left to create in a stress-free environment. A really good movie always does it for me. Can’t think of anything. I am pretty much an open book. 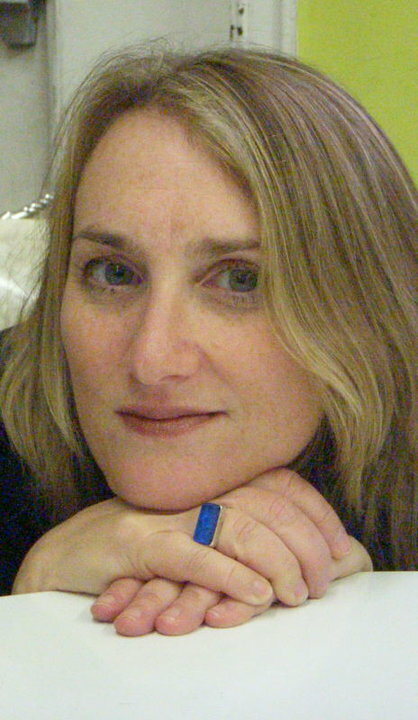 Sandra Nordgren has produced 90+ plays, 100+ readings,16 development workshops, six play festivals. Developed and supervises 40-member summer theatre internship program. Founder: New Works of Merit Playwriting Contest. Playwright: A Christmas Carol (English, French, German, Spanish), The Ice Cream Man Cometh, The Flower. Screenplay: Conversation with a Kleagle. All around this awesome city every day. I feel most like myself when I am directing. In rehearsal, I fuse all of my different strengths together into a creative force. I love the rich and evolving collaborative process with the performers, designers and writers and uncovering the patterns that will get us where we need to go. I used to be a DJ here in NYC in lower east side clubs. 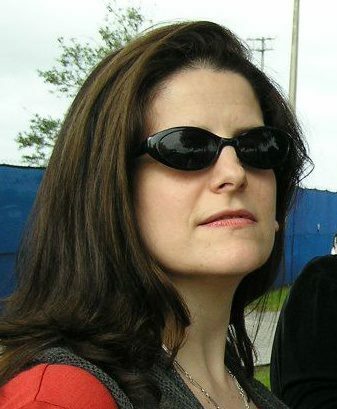 Kristin Marting is a director of hybrid work. Over the last 20 years, she has constructed 26 works for the stage. She is a co-founder and Artistic Director of HERE, where she cultivates artists and programs all events – including 17 OBIE-award winners—for an annual audience of 30,000. I look for inspiration in conversations with playwrights I work with. Hearing what they’re working on and why they’re writing plays is inspiring. For myself, I often seek inspiration in my neighborhood. I live a hop, skip and jump from the Brooklyn Museum, Prospect Park and The Brooklyn Botanic Gardens. I visit one of these places almost every day. In my early 20s I saw Tina Landau’s production of The Time of Your Life at Steppenwolf. It was a wonderfully acted, beautiful production that I’ll never forget (and I often think of). I haven’t done nearly enough international travel and often daydream of strapping on a backpack and disappearing for months. I wouldn’t say nobody but not everybody: I’m a runner and have been doing it more and more competitively over the last 5 years. I just registered for my second marathon. I try to run at least 30 miles a week. When I was in college in the mid-80s, I helped out with touring companies that came to the campus performing arts center. One day The Acting Company arrived with ORCHARDS: a bunch of adaptations of short stories by Chekhov commissioned from contemporary playwrights. The first, Wendy Wasserstein’s, was pretty straightforward – naturalistic set, period costumes, jokes. As the show progressed, from Mamet through Fornes, the plays got weirder, finally landing on Spalding Gray. A monologue, of course. A bed in which a woman slept wheeled out stage left (she never woke or moved much), and a guy walked onto the otherwise bare stage, started off “The day I got the Chekhov story in the mail,” and then kept talking for 20 minutes about going to the Sizzler and the sleeping woman and lots of other stuff I don’t remember but which seemed both random and profound. I was just… stunned. I ran back to my dorm and acted it out for everyone I could find: “The day I got the Chekhov story in the mail. The day I got the Chekhov story in the mail. HE WENT ON FOR 20 MINUTES!! !” I mean, I was a good girl, I did what I was told, mine woulda been like Wendy’s, well-adapted, sweet and straightforward, this guy just totally messed with that, damn, how could he do that and why was it so interesting?? Looking back, I’m sure the piece bore thematic resemblance to the story, and the writers were picked, duh, cause they wrote like themselves. But I didn’t know that then. My theatrical education or experience so far hadn’t let me in on that. And I didn’t know that someday what I’d care about most, theater-wise, would be these things: idiosyncrasy and assertiveness of artistic vision; finding your voice, sticking to it, aspiring to absolute confidence in it; breaking rules, especially. It seems silly now, and obvious, but I really didn’t know. I’m fond of many cocktails but I WISH I liked martinis. It just looks so good to sit behind one. Susan Bernfield is the founder and producing artistic director of New Georges, where she’s generated weird-ish new plays by cool artists (who are women) for 20 years. She’s also a playwright and solo performer whose work has been produced and developed at theaters around the country. Two productions lured me into theatre with the magic of costume, light and transformation: The Caucasian Chalk Circle at Lincoln Center and The Tempest, at Stratford, CT. Ariel’s costume, and the escaping mother on the turntable of the Vivian Beaumont…magic. I also saw the San Francisco Mime Troupe. Funny, entertaining, and meaningful. Then there was Short Eyes at the Public, Story Theatre at my elementary school…Growing up in one of the few multicultural neighborhoods on Long Island…. Working on Journey Theatre, with survivors of war and torture, for 8 months, convinced me of the importance of theatre and social change. And how to really work with marginalized populations, who may not consider themselves marginalized. My favorite book/author? Yikes. Well, I have to say that Ursula LeGuin, daughter of the anthropologist Kroebers. Earthsea Trilogy and Left Hand of Darkness. Favorite pop culture guilty pleasure? Young adult and TV sci fi. Love collecting multicultural non-verbal language. I dream of going to Patagonia to meet whales and penguins, or the Great Barrier Reef to snorkel among the corals. To help animals. To write a novel. To direct a play a year outside of the U.S.
What they don’t know about me? I wanted to be an anthropologist in college, I studied a lot of Tai Chi, and I can watch birds for hours. I don’t think anyone knows I was a farm girl from Pelham, Georgia. The one thing I learned there was to get away as soon as possible. I went to boarding school and then Northwestern University for a Theatre Arts Degree, got married, moved to New York City and eventually had three wonderful daughters…Stacey, Lisa and Marya. 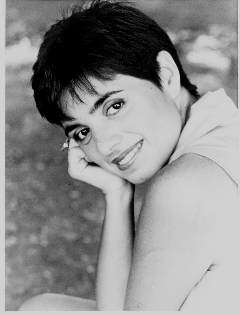 Acting, producing plays and helping women playwrights was my work. We were always trying to raise money, it seemed. More resources are still needed to encourage women’s creativity. Going to theatre and movies with my daughters and friends makes me feel most like myself. A nice vodka tonic or glass of Merlot is a treat now and then…and chocolate is always welcome. I am extremely lucky and most grateful for my family, colleagues and friends who have helped me along the way. 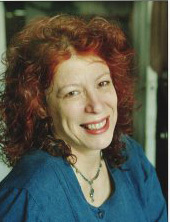 Julia Miles is the founding artistic director of Women’s Project and Productions. 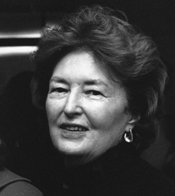 Julia was the Associate Director of the American Place Theatre in the late sixties. 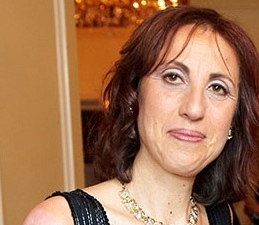 It is there, in 1978, that she founded the Women’s Project, which became an independent producing organization in 1986. 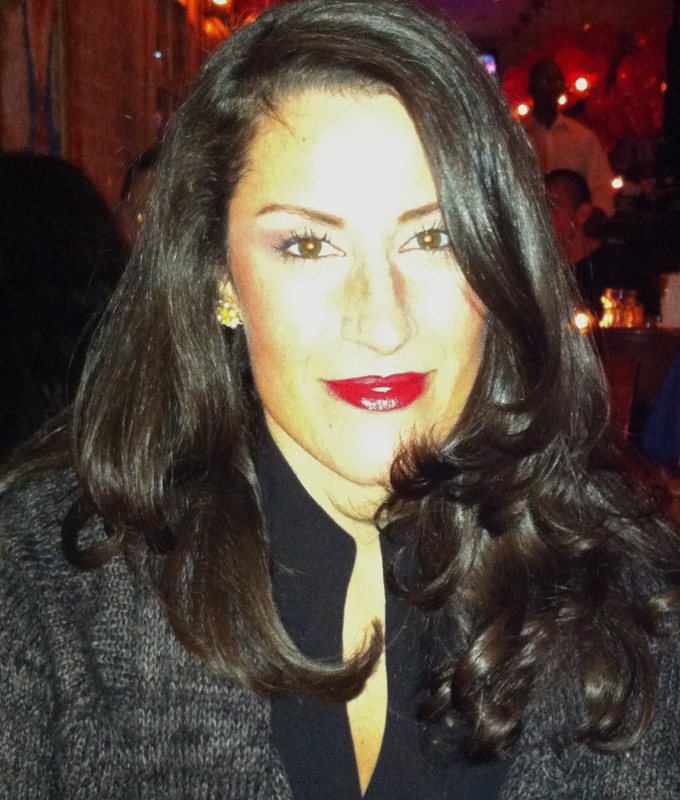 She is a founding member of the League of Professional Theatre Women/New York.